Nestled within a 65-acre park on Lake Michigan and offering breathtaking water views, the South Shore Cultural Garden offers an ideal location for both your ceremony and reception. Those who built this fabulous facility understood that entertaining is a fine art. This extraordinary building was designed from a vision for a club within a country setting and was inspired from a photograph of a private club in Mexico City. Exchange vows outdoors on the expansive green lawn surrounded by gorgeous flowers. 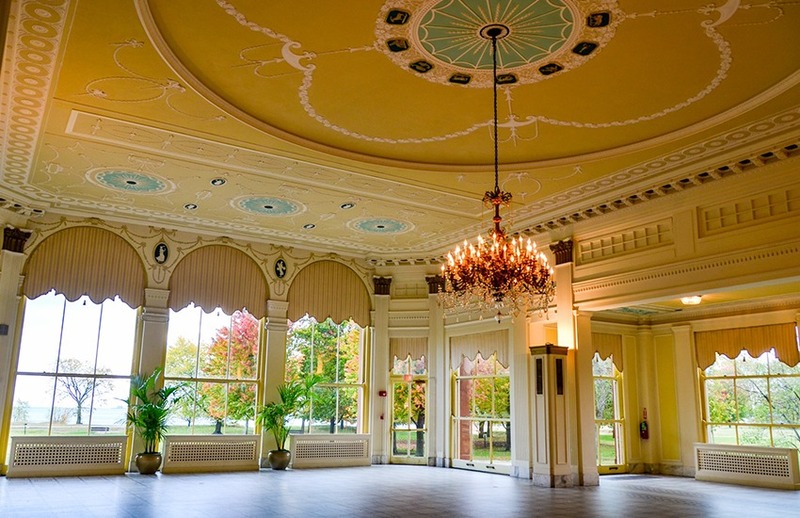 Afterwards, guests can enjoy cocktails and a deliciously crafted dinner in the grand ballroom – complete with cascading chandeliers and sparkling string lights above. The arched windows and columns add to the elegant atmosphere, and the windows allow for an impressive amount of light to shine through, gracefully illuminating everything. Dance the night away with your family and friends, enjoying each others’ company. Your special day will be remembered fondly by all for years to come!